As you can see TBLweb.com has changed. 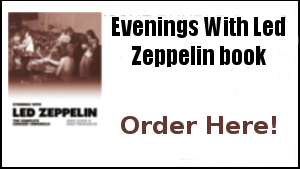 We’ve decided to move away from our previous site design and bring together our massive archive of Zep news and information that was just not possible under the old site. 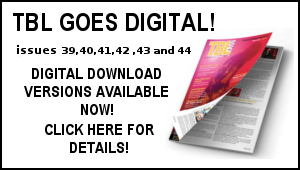 So here it is, our new site, our new magazine TBL 23 and our new special-edition 40 year T-Shirt, more details of which you will find in our Orders section within the new navigation bar. Over the coming months we will be slowly updating this site with all our achive news stories that date right back to 1995, we already have a lot of previous news available on here, but they’ll be more, LOTS more! But don’t worry, while the updating is going on we’ll still be providing all the latest news and information on Zeppelin and relating news. Best of all in our opinion, you will now be able to interact with TBL in a way which takes our website to a whole new level. At the bottom of each article you will now find an area where you can add your own comments and views (keep it clean though please). You can rate the news articles and also you can see which articles are the most popular and highly rated. 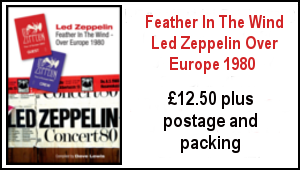 You can email articles directly from TBLweb.com to fellow Zep fans the world over for all to enjoy. There is new feature for us to add our current favourite tracks for you to enjoy via the Amazon MP3 widget on the right hand side of the screen. Currently we’ve set that to play the Mothership CD. Go and enjoy track one right now. And we will also be placing some of our favourite YouTube videos on the page for all to enjoy also. We think you’ll agree, 40 years on… this is still the only way to fly! Hello, just a few words to say : Great, Great, Great !!! I’ve been an avid visitor to this site as far back as I can remember and this is the best it’s ever looked. Thank you for all your hard work in bringing the most reliable news about the best band in history. Like the new site ! All the best with the new venture. Keep on rockin ! The site looks great – I like the new design. Matteo here from Verona, Italy. I Thank you, Dave and all the boys! Great work, Dave! Awesome layout. Keep up your good work, TBL crew! Nice site, Scott here from Syracuse NY. Anyone know what Jimmy and JPJ are up to now? Jimmy, please do something, some of us have never had the chance to see the magic. I’ve been an avid reader of this site for some time now. These changes will make it all the more enjoyable. Keep up the great work TBL. Congratulations on the new layout. much easier on the eye….with the usual high quality content. great and nice and easy the mother ship has come home. 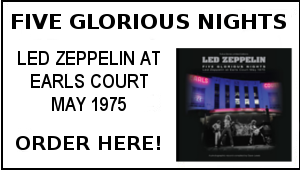 Now we ‘re talking: this is the mother of all zep-sites!